Interpersonal Psychotherapy-Adolescent Skills Training (IPT-AST) is a program that teaches communication and interpersonal problem-solving skills to improve relationships and prevent the development of depression in adolescents. IPT-AST was developed to be delivered in schools and other community settings where adolescents are most likely to receive services, with the hope that IPT-AST can help prevent depression and other problem behaviors before they become more severe. issues related to implementation of IPT-AST, including selecting adolescents to participate in group; conducting IPT-AST in schools, primary care offices, mental health clinics, and other diverse settings; working with adolescents at varying levels of risk for depression; and dealing with common clinical issues. 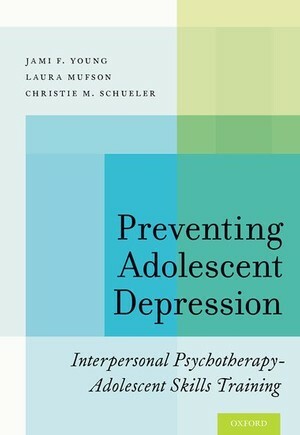 Finally, the book outlines the research on this depression prevention program. Preventing Adolescent Depression is appropriate for a wide variety of mental health practitioners including psychologists, social workers, and school counselors.